I love painting as a hobby, but I’d love to be able to illustrate stories for myself and my family with confidence, so this month, I’ll be taking some time each day to practice painting, and posting my result here to keep myself accountable. Welcome to 30 Days of Painting. For today’s project, I switched from acrylic to water color and allowed myself some light sketching. 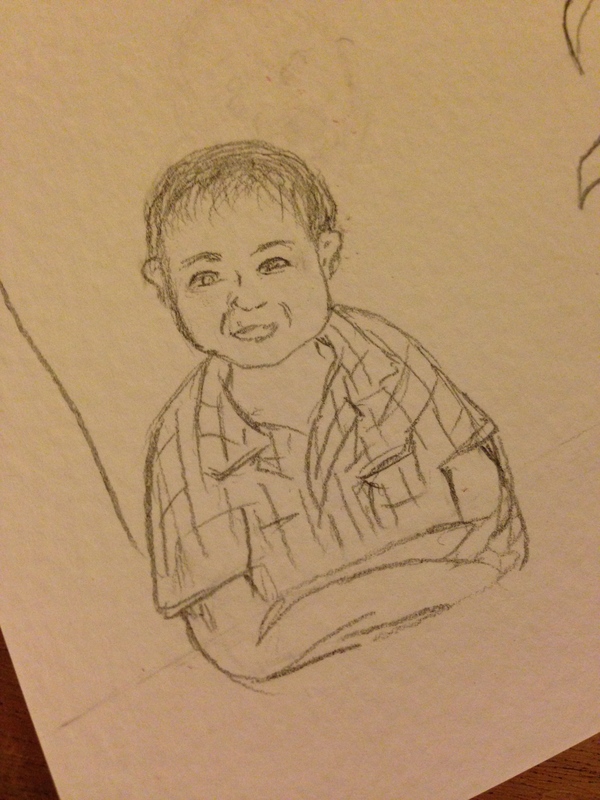 For no reason in particular, I drew a little boy dreaming about a rocket ship. Then I went in with the paint brush and added some washes of color. And then I finished off the details. The eyes came out much darker than I intended, but I think overall I’m pretty pleased with this piece. The hardest part of painting in water color is that you really need to be precise. 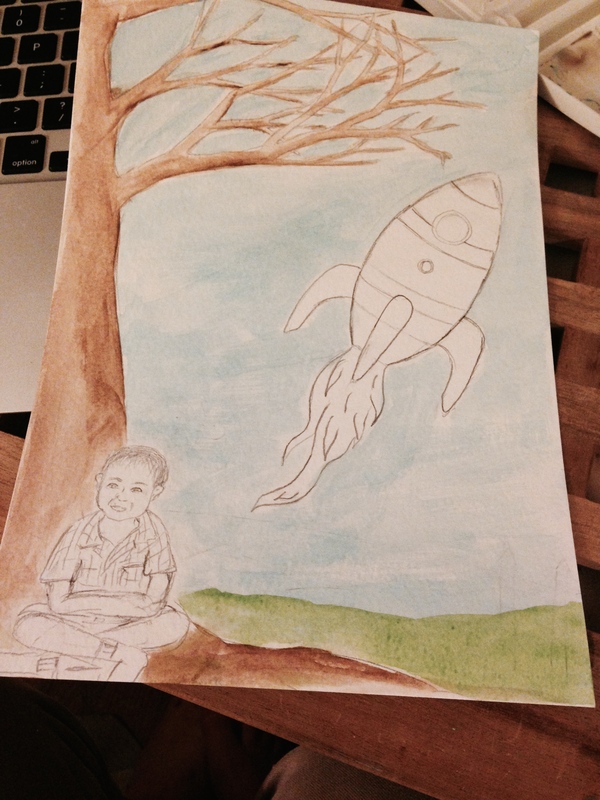 I’m not really sure how to fix a mistake – the eyes coming out too dark, or the smudge on the edge of the rocket. If this were acrylic, I’d just slap some more paint on there and call it a day. I tried doing that here a little, but I didn’t quite succeed. Any water color tips would be greatly appreciated! And that’s today’s day of painting. For my source of rocket ship inspiration, see here, second ship from the end. He reminds me of Oliver. Fabulous challenge to set yourself. 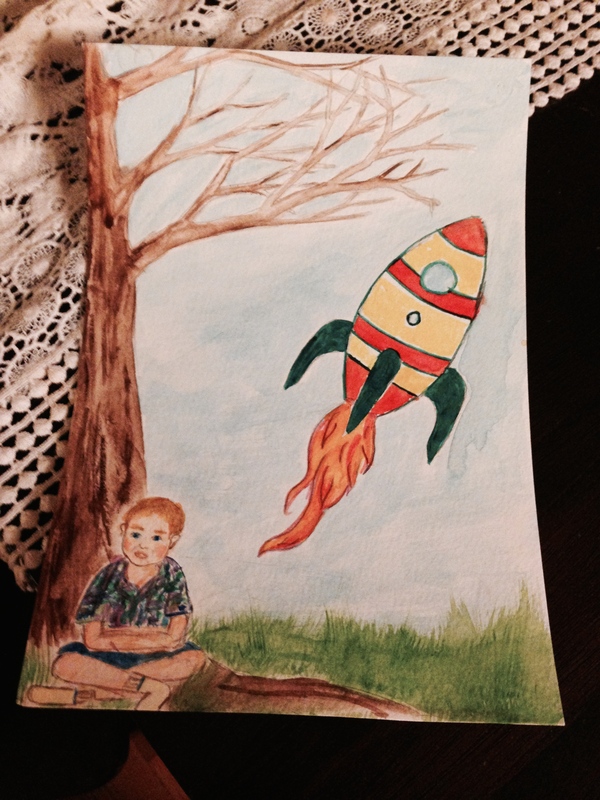 And the picture you have produced looks just like one of my sons with his favourite thing – a rocket. Spooky! I think all little kids go through a rocket phase 🙂 Or at least they should!